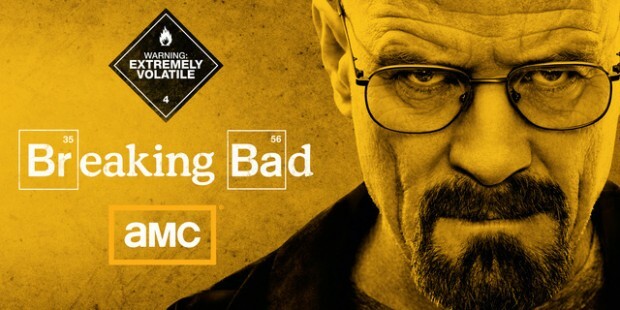 Last night was the Season Five conclusion (they’ve split the last few episodes over two seasons) of Breaking Bad. I was introduced to the show by accident a few months ago and I will have to admit – it’s the most riveting drama on television today. My Sunday nights at 10:00 p.m. are reserved for AMC (or my DVR recorder) to grab every episode. The premise is that a High School science teacher (Walter White) is diagnosed with an inoperable cancer. He worries about how he will provide for his family when he’s dead and gone – and by fate, he runs into a former student, a low-grade method dealer named Jesse. Using his science skills, he’s able to cook a grade of meth that is in the high 90 percentile and they become full-time drug producers with family issues, especially Walter’s relationship with his wife comes into play. This episode is about the evolution of Mr. White into Scarface. In graphic scenes, he arranges for the murder of nine probable informants, information he gleaned from his own brother-in-law who is the head of the local DEA. By this late in the series, having people murdered or killing people doesn’t phase him – there is no remorse, it’s not personal, it’s business. Strictly business. However, it looks like that he and has wife has completely reconciled. She has forgiven him for drug dealing, which has given them “more money than we could ever spend” and he has forgiven her for infidelity. Their family is reunited and Walter apparently has severed all ties with Jesse and is retiring from the meth business. Until his brother-in-law finds a book, “Catcher in the Rye” which an inscription from a deceased drug overlord. The episode ends with perfect facial expressions that the major drug manufacturer he’s been looking for has been right under his nose. Can’t wait for next season!! !